Item # 312741 Stash Points: 3,995 (?) This is the number of points you get in The Zumiez Stash for purchasing this item. Stash points are redeemable for exclusive rewards only available to Zumiez Stash members. To redeem your points check out the rewards catalog on thestash.zumiez.com. 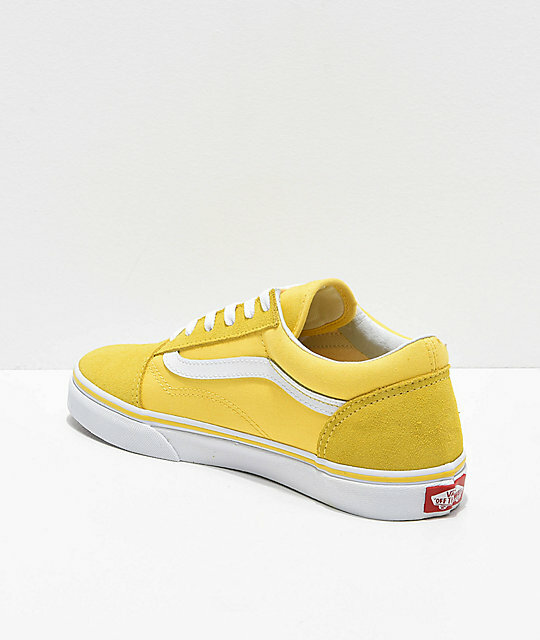 Grab a classic skate-style in a bold, bright colorway with the Old Skool aspen gold and true white skate shoes from Vans. 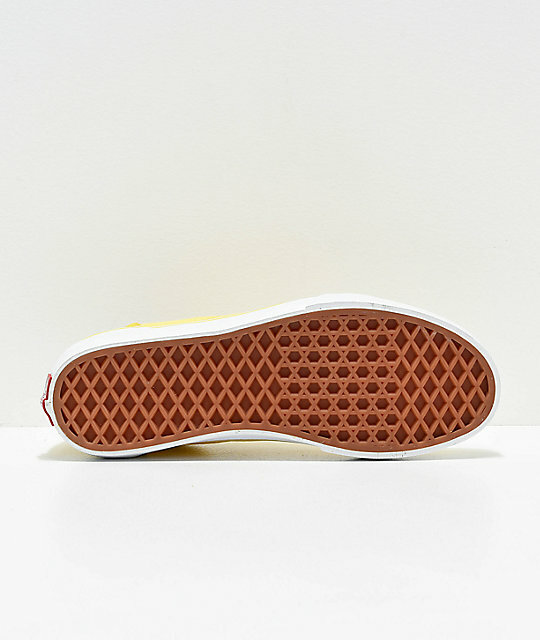 Complete with all the features you know and love from the Old Skools, including a suede and canvas upper, padded collar, the iconic white stripe on the sides, and of course Vans' signature waffle tread; you won't have trouble finding a spring outfit to match these shoes to. 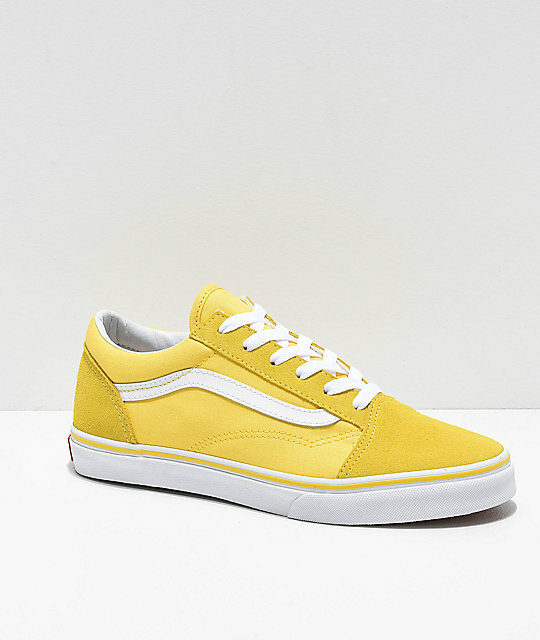 Coming at you in a bright yellow, dark yellow and white colorway, these Old Skools will turn some heads while you shred in them. 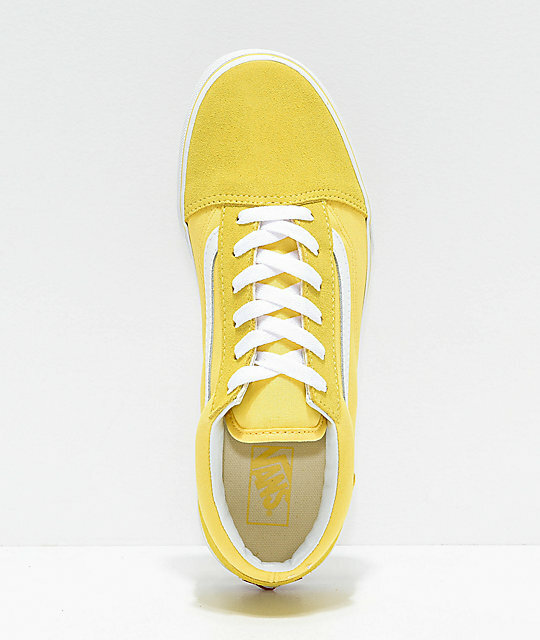 Old Skool Aspen Gold & True White Skate Shoes from Vans.